Here is a quick introductory video to introduce hockingstuart to you. 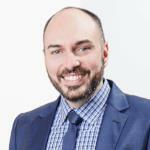 Joe Mavrikos has over a decade's experience in western suburbs real estate. The practical experience Joe and his team have in and around the area helps to deliver unrivaled service and excellent results for all clients. One of the biggest strength at Hockingstuart is that of our network. We have over 60 offices in Melbourne so hence we will not only be marketing it to the local buyers which “attract local prices” but we will also be marketing it to our registered buyers all over Melbourne which attract higher prices. Hence, once we have listed your property we will be sending out an e-news flyer with details of your property to all of our offices in Melbourne which will alert all of the registered buyers looking to buy a property. This coupled with our marketing strategies I am confident in maximising the sale price of your investment. We do 30 - 40 open for inspections every Saturday so hence we have a big database of buyers actively seeking properties. There are 3 types of buyers, online, local and out of town. Currently 51% of buyers are out of town buyers and 49% are local buyers. We use different marketing strategies to capture the attention of these buyers. Innovative marketing tools such as the implementation of dusk photography, floor plan, for sale board, local newspaper complement hockingstuart's ethos of professionalism and hard work. The website is one of the most visited of all Victorian estate agents; red magazine is the most widely distributed property list; early alert, the online property search tool, has over 50,000 members; and the entire network of offices collaborates to help find buyers wherever they are. Please note that marketing is the biggest investment you can do for your property. You are in total control of how much you would like to spend in regards to marketing and commission. Our marketing is consistent across the 60 offices in Victoria and we are also the selling agent for the channel 9 show "The Block" whom also use our marketing strategies to sell their properties. This shows you the quality of campaign we will deliver across the 60 offices. I recently sold my house through Hocking Stuart Real Estate Melton. This was the second house that I had sold in the Melton South area within a couple of years. I understand that Hocking Stuart had been in Melton for only a few years. Well, from where I stand, Hocking Stuart Real Estate are like a breath of fresh air to the Melton Real Estate Industry. When I initially met manager Julian Conte and agent Joe Mavrikos, their enthusiasm, good nature and courteous manner was apparent. They came across as approachable and prepared. Their literature was professionally presented and appealing. This was re-assuring, as I have not had many positive experiences with real estate agents in the past. As a result, I decided to employ Hocking Stuart to sell my house. From then on, my dealings were with agent Joe Mavrikos. In my opinion, Joe was the most professional real estate agent that I’d ever dealt with. In all cases when an agent sits down with you on first meeting you are sure to be given many promises of great service, exposure and the end result a great price. Often you come away from the selling process feeling far from that and left short on all levels. Our objectives were to sell the house, to be listened to and to receive excellent customer service. If that if is your goal I suggest you read on. In difficult economic times you need the years of experience and dedication of an agent that truly understands the market and people involved in that market. You will need an open line of communication between yourself and the agent. Great value campaign that includes all the latest selling tools and finally most importantly you want to achieve the best price possible. So without hesitation I suggest if the above is what you want to achieve then list your property with Joe Mavrikos now. On behalf of me and my family I would like to thank you for helping us sell our property. From our first meeting you gave us the right advice on how to market and achieve the best result from our properties. It is a very tough decision choosing the right agent as we know the agent you choose will be bearing on the price you get for your home. However from start to finish you provide us with the best service and prompt feedback after every inspection and guided us throughout the whole process.